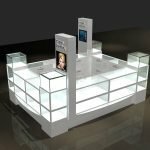 Are you looking for mall used jewelry kiosk design? 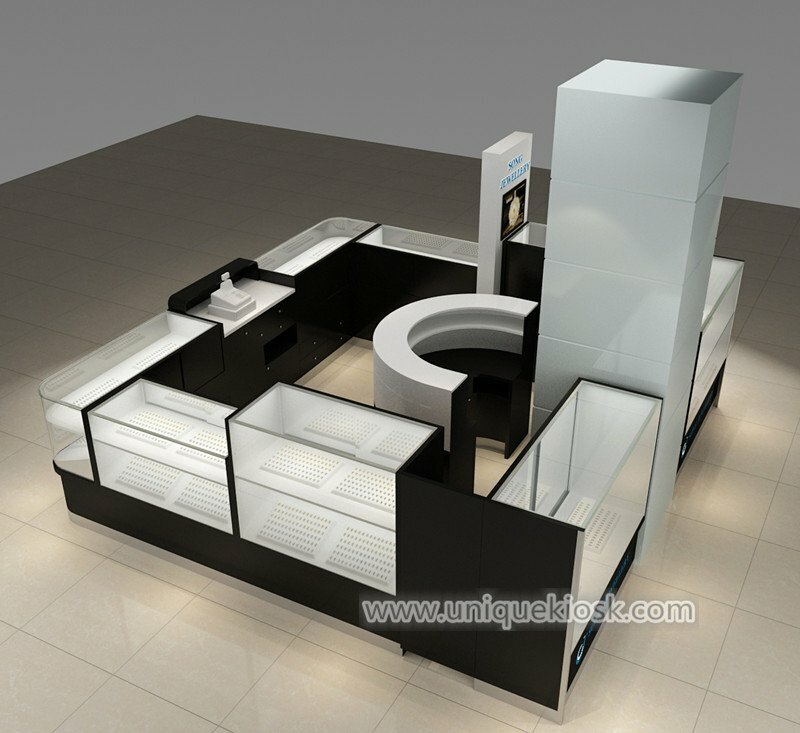 The unique kiosk provides the best jewelry booth for sale. 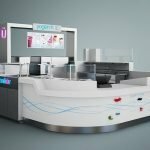 supply unique jewelry kiosk design. if you are interested to start your own jewelry shop, get more information below. 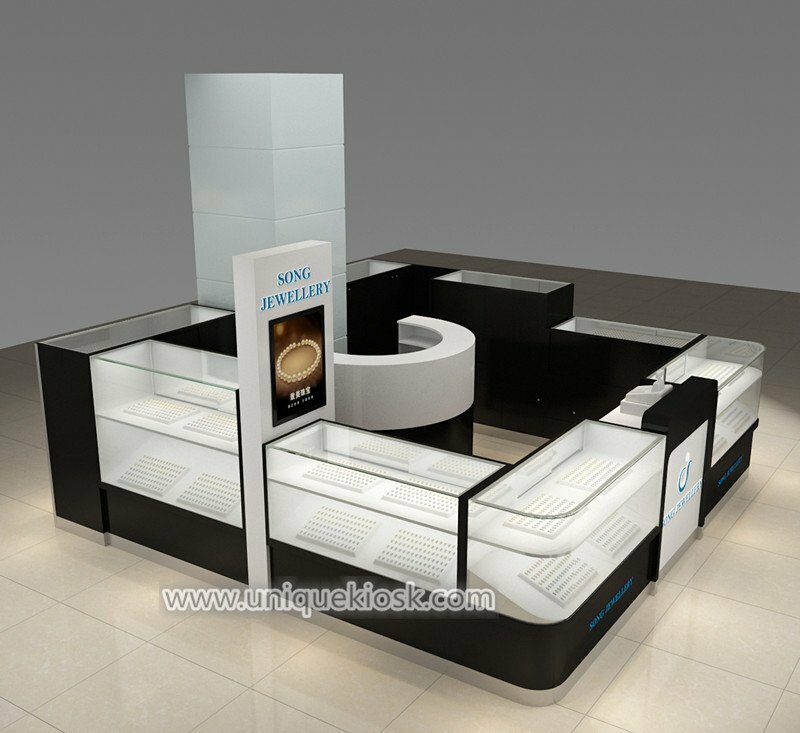 The kiosk can be used in a shopping mall or own jewelry store. like the below one usually is used in a mall. the mainly tone is white and black. it’s very modern and simple. total size is 4m length by 4m width, front part with a small cashier counter, match the luminescenc acrylic logo. four sides with glass display cabinet, each plate below the hidden led light strip. the inside of this display cabinet bottom with many drawers, it’s very nice for storage. The inside of the whole shop with a round shape counter. it mainly for jewelry repair service. The mechanic can work inside. Almost a semi-hidden counter, you will find front part counter is short. backsides four counter is high, the front part mainly displays bracelet, earring. the backsides mainly to put the necklace model. this is why the backsides each shelves space is higher. 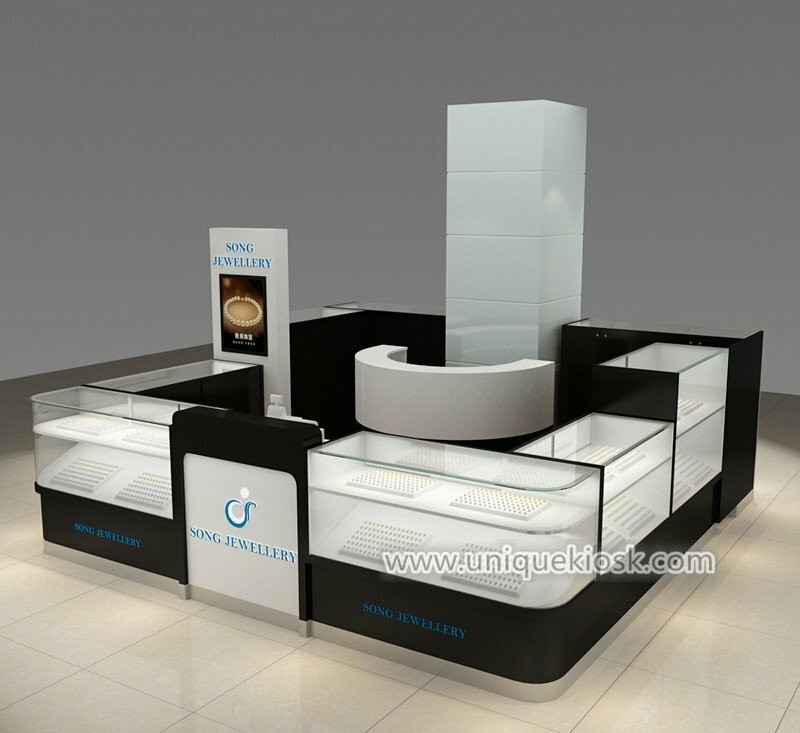 The left sides of this kiosk with signs, with jewelry letter and lightbox, the whole kiosk front and back all with Song jewellery, the customer can easy to see the whole store service. Color: white, black or customized. Material: MDF, plywood, laminate.tempered glass. Accessories: lightbox, acrylic letter. led light. Service: bracelet, earring, necklace display service. 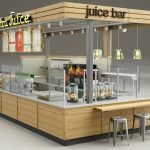 Design: 3d max and CAD drawings. Thanks for your time and reading, Unique furniture ltd as a direct factory. 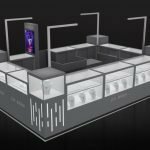 we main work on the design and build different types of mall retails kiosk. if you’re interested to start a jewelry store like this one, pls feel free to contact us below, thank you!